The prices of fossil energy resources are expected to rise substantially in the future, therefore fossil energy resources might not be a feasible energy source for Latvia in the long term. The establishment of a fully self-sufficient energy supply system will require a significant transformation of the existing energy supply and transport infrastructure. Early planning of such a system makes it possible to shape development of the existing energy system in order to achieve that goal of a fully self-sufficient energy supply system. 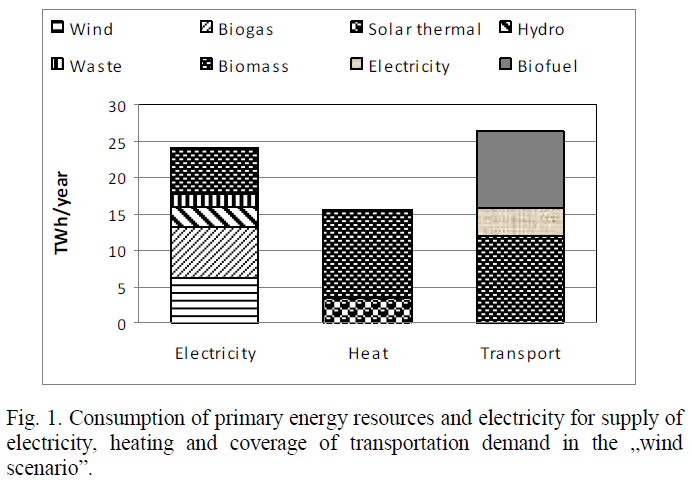 The paper shows a potential solution to establish an energy and transport system solely based on the domestic primary resources by the year 2050.